At Turnberry Isle Miami, we know that one of the great joys of getting away from it all is treating yourself to a little retail therapy. 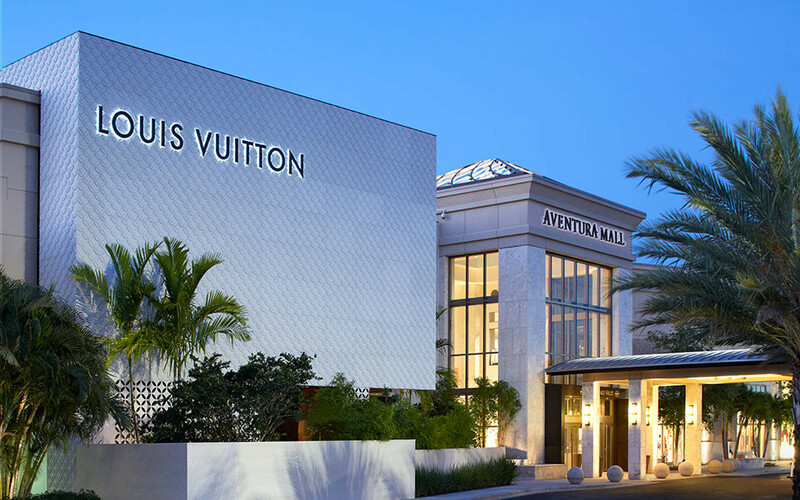 With the Aventura Mall just minutes away, guests of our resort have no shortage of options when it comes to shopping the day away. This mall boasts both one-of-a-kind boutiques and the most venerable high-end retailers in the world, including Bloomingdale’s, Macy’s, Nordstrom, Burberry, Cartier, CHANEL, Emilio Pucci, Givenchy, Gucci, Fendi, Tiffany & Co., and much more. Casual favorites like H&M and Urban Outfitters also abound, and the tech savvy shoppers in your party will be thrilled to find both Apple and Microsoft stores. There are dining options to satisfy every taste, whether you’re in the mood for a classic martini and the perfectly prepared filet mignon at The Grill on the Alley or the mouth-watering burgers and fries from Five Guys. You can also catch the latest blockbuster at the 24-screen AMC Movie Theater, or browse the quirky contemporary art installations as your little ones enjoy the Rainbow Valley Playground, designed by the FriendsWithYou Art Collective.